Samsung outs Galaxy J2 Pro (2018) - AndroGuider | One Stop For The Techy You! 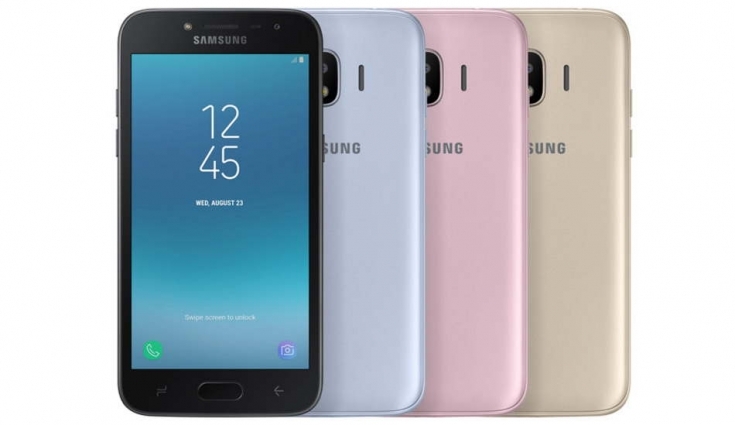 Samsung has quietly introduced the Galaxy J2 Pro (2018) by listing it on the company's Vietnam website. The South Korean tech giant's latest offering is targeted at the entry-level market. The Galaxy J2 Pro (2018) sports a polycarbonate body and 5-inch qHD (540 x 960 pixels) Super AMOLED display. It is equipped with 1.4GHz quad-core processor and comes with 1.5GB RAM and 16GB internal storage, which can be expanded via microSD card. For photography, there's 8MP camera at the back and 5MP selfie shooter at the front. Both front and rear cameras get dedicated LED flash units. It runs Android Nougat, packs 2600mAh battery and has support for dual-SIMs and 4G LTE. The Galaxy J2 Pro has been priced at 329,000 VND ($145 | Rs. 9,200) and comes in Black, Blue and Gold hues. The phone is also expected to release in other markets as well including India.